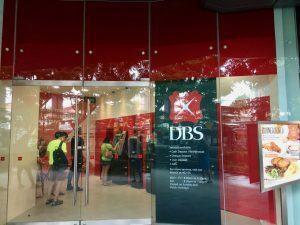 Interest rates have remained at an all-time low in recent years, with many banks offering mortgage rates that are lower than Housing Development Board (HDB) interest rates by 50 per cent. But all that is set to change and mortgage interest rates are set to skyrocket to historical rates in the near future. This impending shift will come soon as the market cycle begins to start anew. Singapore Interbank Offered Rates (SIBOR) trends over the past decade show that the golden period of low interest rates may be coming to an end. This means that homeowners may see a marked spike in the amount they pay as part of their monthly repayment plans. Homeowners could preserve some of their savings before the interest rate spike hits by taking advantage of a fixed mortgage interest rate plan. Fixed mortgage interest rates may give homeowners thousands of dollars (perhaps even a five-figure sum or more) each year if they opted for one. Homeowners could potentially enjoy a two-three times difference in their total interest repayment if they opt for a fixed rate programme. Some homeowners may however miss out on such potential savings because they are overwhelmed by the banking process. Others might be put off by technical jargon like SIBOR, FHR, Board Rates. Such homeowners may hesitate and wish for someone to just hand them the cheapest home loan package across 16 banks. Unsure of the loan amounts they are eligible for and how to calculate them. Unsure as to when or why they should refinance. Unsure about how the new banking regulations is affecting them. Unsure of the loan tenure they should go for. Unsure about the amount of CPF they should use for the purchase of their homes. And there is good reason why homeowners are unsure and unfamiliar on how to get the best deal interest rates for their home loans. Most don’t buy homes as often as you buy other necessities (like food and clothes). But actually, there is no reason why you should contribute to the banks’ profits when you can keep the difference in interest rates. All such homeowners need to do is, look for a mortgage specialist. The mortgage specialists will give them the advice that they need at zero cost to the homeowners. In case you are wondering why the service by the mortgage broker is free to the borrower – it is because the lenders will pay the mortgage broker a distribution fee upon successful disbursement of loan. The services of a mortgage broker are free to the borrower because the bank pays a referral fee upon successful loan disbursement. Mortgage brokers are well-informed of all the loan packages, the different interest rates in the market and their accompanying features, compared to most borrowers, because it is their job. Besides matching you with the right loan with the best interest rates, they can warn you about caveats and conditions of the loan contract, which you may not be aware of if you are a lay person . After reading this article, if you are persuaded into trying out a mortgage broker, you can try the friendly and helpful ones at www.iCompareLoan.com. The brokers here use home loan reports, generated from Singapore’s most advanced loan analysis system (exclusive to iCompareLoan), to help you find a package with the best fit. Drop a note here. The post Now may be time to opt for fixed mortgage rate before interest rates skyrocket appeared first on iCompareLoan Resources.